I am currently stuck in the crossfire of finding a job, moving back home and attempting to blog! As an officially unemployed and technically homeless designer (in the sense that I don’t have my own home but rather share a roof with my parents again), the race to find a job seems ever more pressing. While snooping around I did, however, come across this. Now I am not a huge fan of material research, but this has literally blown my mind. Increases in population globally will inevitably lead to more built-up urban environments with an increase in deforestation. Oxygen is pretty key to our survival and Julian Melchiorri has discovered a way to maintain our development and stay healthy with the first ‘biological man-made’ leaf. 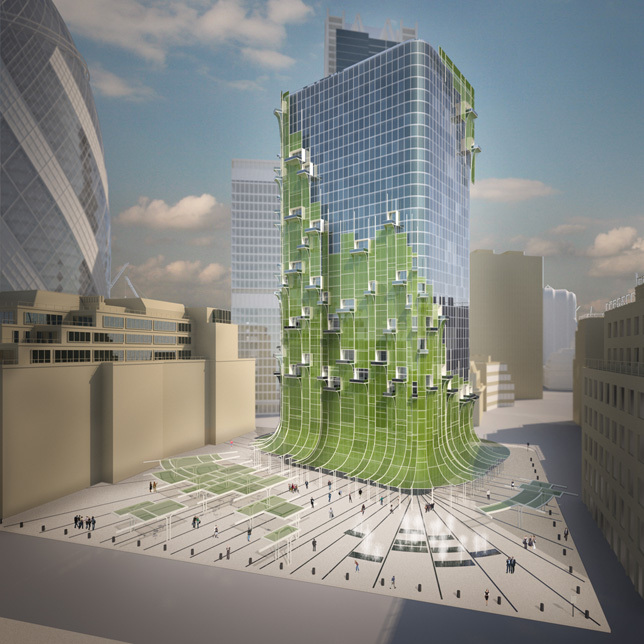 The photosynthesising material has limitless opportunities from interior design to extending our architecture to outer space! Yes, this could have capabilities of helping astronauts with the mundane activity of breathing. While this is all dandy, a foreboding shadow always crosses my mind. With no use for trees, what will happen to our surrounding habitats? Advancement in technology can almost always pose a threat to the gems that this planet holds. Earth’s biodiversity should be one of our top priorities to preserve and care for and with talk about our world going through another great extinction, products like this give humans opportunities to selfishly thrive in a place that we should share with its wildlife. I hope that this new material is used in aid of exploration into the unknown galaxies around us rather than the destruction of our own planet. Fantastic discovery, but use it wisely.